Have you heard about the Cuban Espresso shot? You may say that it will be the espresso version from Cuba, hah! Well that doesn’t explain it up clearly, does it? When I was going through different coffee recipes, I came across the Cuban Espresso and noted it down for research in future. Cuban Espresso is a traditional drink, and a medium to dark roast ground goes well for the preparation. You can get them at any of the groceries near you, and make sure that you use only the appropriate coffee beans for the making. Otherwise, there is no point in your efforts. 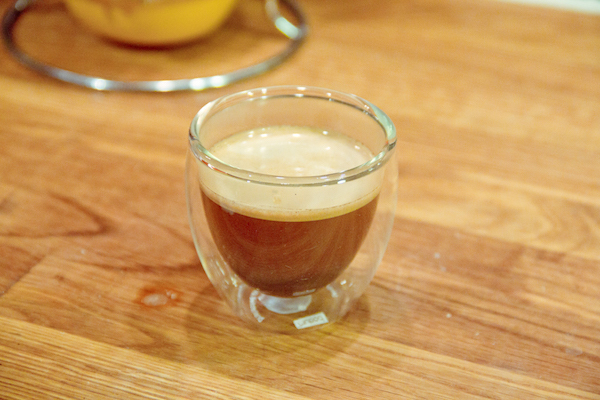 This is simply an espresso version which originated in Cuba. Also, people use the same name for all the drinks which uses the Cuban Espresso as the main ingredient. In the authentic preparation, some sugar is whipped aggressively until they form a thick paste. Into this paste, the espresso or any other strong coffee is added. In the end, you will find the creamy texture at the top of the drink which is the sign of the perfect Cuban Espresso. For preparing the coffee, you can either go with the Espresso machine or use a Moka Pot. Just make sure that you know the processing well, before using any of these machines. The three main components of Cuban Espresso are White Sugar, Cuban coffee, and some water for mixing. For 2 shots of Espresso, you need to use a 2-3 cup serving Moka Pot. Add the grounds inside the Moka pot, and simply level it off with your finger. Then fill the bottom of the coffee maker with water, and carefully place the Moka pot for the processing. Set the unit on a medium flame, and leave it to boil. Add 2 tsp of sugar in a cup, along with 2-3 tsp of the brewing Espresso. Now time for the whipping! Whip this coffee and sugar mixture till they turn into a light colored thick paste. That’s the consistency that we need for the Cuban Espresso. That’s all you need to do. Now pour in the coffee inside the same mug with the sugar paste in it. Mix it well so that the sugar gets completely dissolved in the milk, and a white layer forms on the Coffee top. Your Cuban Espresso is ready to be relished! For more updates, you can follow us on CoffeeMakered!